In honor of Asian American and Pacific Islander (AAPI) Heritage Month, the Office of Multicultural Affairs, within the Division of Enrollment and the Student Experience, is hosting a series of events in April in collaboration with students, faculty and staff across campus. The monthlong celebration begins on April 1, with the opening event on Tuesday, April 2, from 6 to 8 p.m. in the Peter Graham Scholarly Commons (Bird 114). Attendees will enjoy food; meet and mingle with students, faculty and staff; learn about the month’s events; view and discuss the student documentary film, “April 11, 1997” by Jasmine Kim ’19; and participate in the unveiling of this year’s Anti-Asian Hate Crime Exhibit. 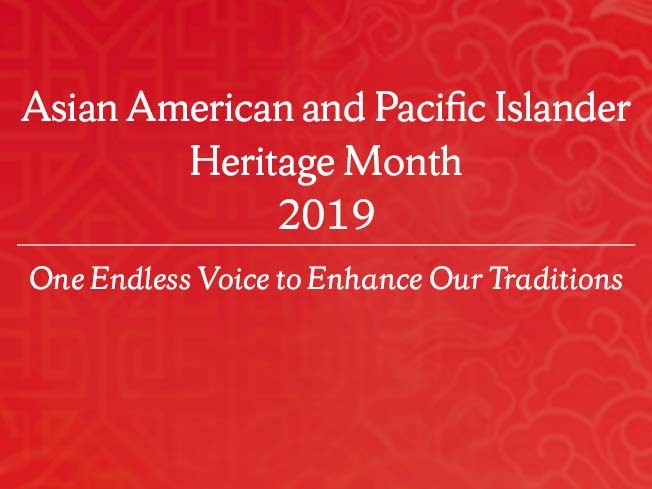 AAPI Heritage Month consists of programs and signature events that educate all members of the Syracuse University community about the histories, cultural diversity, contributions and often-underreported challenges of Asian Americans and Pacific Islanders. Celebrated nationally in May, Syracuse University honors the month in April to celebrate while the campus community is still together. Booster will speak on Thursday, April 11, at 7 p.m. in Slocum 214. The evening will include a comedy act, followed by a student-moderated Q&A session and audience meet-and-greet. The event is sponsored by the Office of Multicultural Affairs and the LGBT Resource Center and is free and open to the public. American Sign Language (ASL) interpretation and Communication Access Realtime Translation (CART) will be provided. Geena Rocero, Filipina-American model, producer and transgender advocate, will deliver this year’s commemorative keynote address for Trans Week of Liberation. Since speaking at TED in March 2014, where she came out as a trans woman, Rocero has spoken at the White House, the UN and at countless universities around the country on trans rights and elevating the visibility of the trans community in the media. Rocero is the founder of Gender Proud, an advocacy and aid organization that stands up for the right of transgender people worldwide to “self-identify with the fewest possible barriers.” Sponsored by the LGBT Resource Center, Pride Union, and Qolor Collective. Enjoy food and meet and mingle with students, faculty and staff. The event will host the public debut of a short documentary created by Jasmine Kim ’19, which examines the Denny’s incident that occurred 22 years ago in Syracuse. Following a discussion of this film, the Anti-Asian Hate Crime Exhibition of this incident will be unveiled and will be on display in Bird Library for the month of April. The racial formation of Asian American institutions is plagued by a longstanding history of colonialism in the United States. Dosono will present critical case studies from dissertation research that uncovers the ways in which Asian Americans and Pacific Islanders negotiate collective action in the context of online identity work. Recent efforts by activist groups are seeking to dismantle colonial structures, and this workshop lends practical applications of postcolonial theory to rising student leaders seeking to build a more equitable campus climate. Sponsored by the Filipino Student Association. Come celebrate Korean culture and the talent within the Korean American community! K-Night is the Korean American Student Association’s biggest event of the year. This year’s special guest performer is Late Lee. Lee’s sound is described as Indie Hip-Hop and K-Pop with its infusion of western modern rap with highly addictive pop tunes. Tickets are available at the Schine Box Office for $5 for Syracuse University/ESF/General Public. Leo Wong hails from San Gabriel, California, and is a proud 2014 Syracuse University graduate with a B.S. in advertising from the S.I. Newhouse School of Public Communications. During his time in the Orange Nation, he was involved in a variety of organizations ranging from Otto Tunes, TNH, U100, First Year Players and Phi Delta Theta. Wong was also chosen as a WellsLink Scholar, Remembrance Scholar and University Marshal. After Syracuse University, he went on to work at renowned advertising agencies such as Droga5, McCann Worldgroup and Digitas, in roles ranging from account management to diversity and inclusion. Sponsored by the Office of Multicultural Affairs and Syracuse University Multicultural Advancement. Spin some fidget spinners on your toes (even though that’s so 2017) or grab your guitar and win over the crowd—anything goes! Grab your best bud and share your talent to showcase that engineers are more than just calculators. Sponsored by the Society of Asian Scientists and Engineers. Ronny Chieng, cast member of 2019 Golden Globe-nominated film “Crazy Rich Asians” and the senior correspondent on “The Daily Show,” will be featured on the annual Multicultural Greek Council’s cultural experience program. The show will be highlighting Chieng’s road to success as well as talking about Asian American representation in today’s media. Students will have the opportunity to interact with the star during the program and at the scheduled meet-and-greet session. Sponsored by the Multicultural Greek Council. A discussion of “The Leavers” by Lisa Ko led by Jordan Burgh ’19, Mitchell Liang ’18, Rachel Pray ’19 and Sarina Wallace ’19. Food will be provided. Sponsored by the Office of Multicultural Affairs and the Renée Crown University Honors Program. Kappa Phi Lambda Sorority Inc. and Sigma Beta Rho Fraternity Inc. proudly present the Cultural Expo. Student organizations will host their own distinctive booths dedicated to their respective cultures. They hope to bring a taste of different cultures to the student body, where everyone can learn about the depth behind each cultural booth. Mr. ASIA is a male pageant that focuses on the current issues revolving around Asian Americans at SU. Mr. ASIA aims to tackle the stigmas placed upon Asian males and issues behind masculinity. Featuring Simu Liu, a star on the sitcom “Kim’s Convenience,” his talents will inspire our community and he will provide his own insights in the discussion of Asian male masculinity. Enjoy entertaining performances by student organizations and guest artists. Sponsored by Asian Students in America. Join SASA for its annual formal. Bring a date and enjoy good music, good food, a photo booth and memories that will last a lifetime. Tickets are $10 at the Schine Box Office. Stories have the powerful ability not only to chronicle the histories of communities, but also to enable the cyclical nature of privilege and systemic oppression by the dominant cultures who disseminate them. In this talk, Michelle Caswell and Samip Mallick—co-founders of the South Asian American Digital Archive (SAADA)—explore how members of communities marginalized by white supremacy and heteropatriarchy imagine archives as potential sites of disruption of these oppressive cycles. Caswell and Mallick argue that archivists make more liberatory interventions in disrupting white supremacy and patriarchy in archival practice, going beyond the standard solutions of diverse collecting and inclusive description. In so doing, they will explore emerging examples from their own pedagogical and archival practices to illustrate possibilities for archival disruption, and galvanize archivists to embrace activism during times of political and social crisis. Sponsored by the Syracuse University Humanities Center, Syracuse University Libraries, iSchool, Maxwell School, Department of History, South Asia Center, LGBT Resource Center, Central NY Library Resources Council, and the Eastern NY Chapter of the Association of College and Research Libraries. In follow up to their public lecture, SAADA co-founders Mallick and Caswell host an interactive workshop to guide participants through the process of starting and building community archives, sharing stories about what worked and what didn’t. Topics include how to get started, developing a collection focus, building relationships with donors, fundraising, and more. Space is limited; RSVP to Anantachai; include any requests for accessibility accommodations. Sponsored by the Syracuse University Humanities Center, Syracuse University Libraries, iSchool, Maxwell School, Department of History, South Asia Center, LGBT Resource Center, Central NY Library Resources Council, and the Eastern NY Chapter of the Association of College and Research Libraries. The full AAPI Heritage Month events calendar is available on the Office of Multicultural Affairs website and available for pickup in Schine Suite 105. Follow AAPI Heritage Month events and updates using the hashtag #CuseAAPIHM. For more information on AAPI Heritage Month events, contact Anantachai or Dosono.